We’re glad you’re here. We hope you find our church a welcoming place where you can get to know us and experience the joy of Jesus Christ together with us. New to Trinity and wondering what’s next? 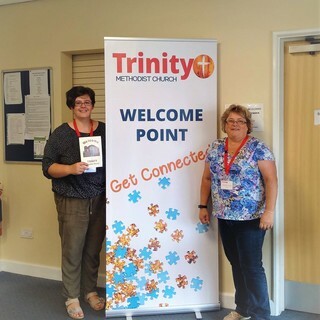 "Get Connected" in the foyer before the service, to introduce yourself, ask questions and learn about opportunities to help get you connected with others at Trinity. 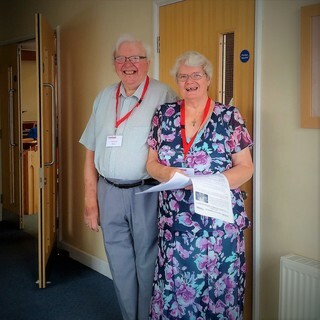 You are invited to catch up again with our welcome team after the service, join us for a tea or coffee downstairs and meet some of the other members of the church. Coming along for the first time and would like someone to meet you outside? Just drop us an email or fill out the contact form on this site. One of our team will follow up with you in the next couple of days. You can let them know if you have additional questions and arrange to meet someone who can show you the ropes if that makes you feel more comfortable. Been coming for a few weeks? 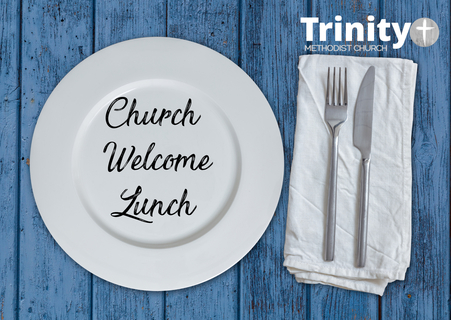 Be sure to book on to our next welcome lunch where you will have the opportunity to share fellowship with other new members, meet with pastoral leads and ask the Minister and Deacon questions as well as hear about the vision that Trinity has for the year ahead. Please contact Yvonne Bailey for details of our next lunch yvonnebailey1@outlook.com. If you are unfamiliar with the Christian faith, or if you want to learn more about Jesus Christ, we are eager to share him with you. We believe Jesus is our Saviour and Redeemer, and we look to him for grace each day. If you would like to find out more about our faith please contact us or take a look at the Christianity website which has lots of answers (click on the icon below).